Tweak is a free WYSIWYG HTML editor for Chrome to edit, host webpage. 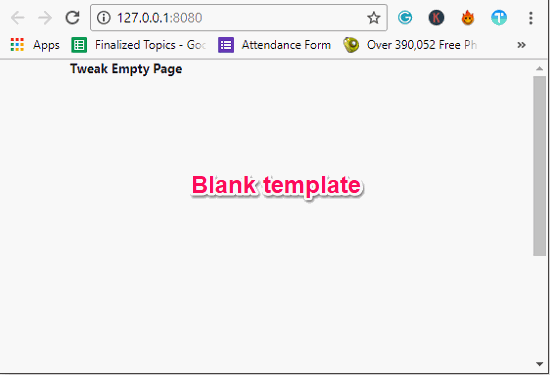 You can create a webpage in Chrome using predefined templates and host that too. 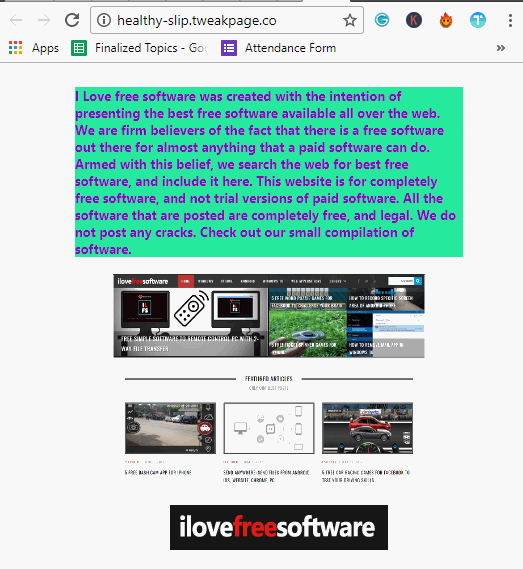 It doesn’t require any complicated software to be installed on your PC, all you have to do is install a Chrome extension to do that. If you want to define your own templates, then you can customize them, but for that, you must have some knowledge of HTML and CSS. After designing a webpage, you can host it for free. You can share the URL of your webpage with anyone you like. However, in the starter edition, you can only host one webpage. To host the second one, you will have to delete the existing one. Tweak is a very nice extension which makes it possible to edit a webpage in Chrome itself. To add or edit components, you don’t have to deal with the code. Just drag and drop the components, resize them, change color, etc., and you are done. 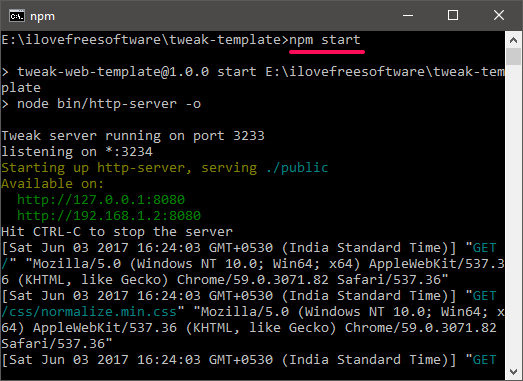 The Tweak extension is dependent on Node.js, so make sure that it is available on your PC. Tweak is ideal for story making and sharing that with the people you like. How to use this WYSIWYG HTML editor for Chrome to edit, host webpage? 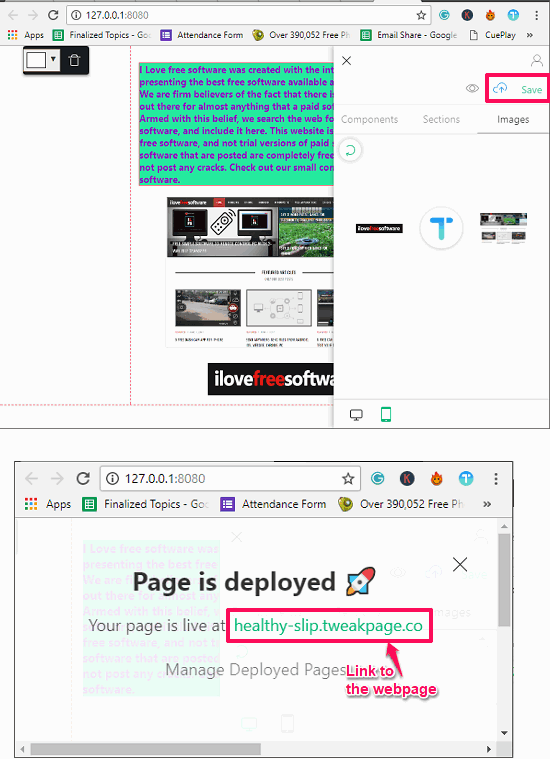 Tweak makes it pretty simple to design a webpage by just dragging and dropping the elements on a webpage. The webpage that it generates is a responsive one and works very smoothly. And if you have a good knowledge of HTML and CSS, then you can customize the default templates according to your needs. The developer has given the instructions to create your own elements in the documentation of Tweak. I have already mentioned above that you will need Node.js to be installed on your PC. Actually, it first lets you download the source code of the template on your PC. After that, you can create a server and with the help of the extension, it turns Chrome browser into a visual webpage builder. Just drag and drop operations are required to build the webpage. Here are some easy steps to get started with Tweak. Step 1: Add Tweak extension from Chrome store and then click on its icon. It will ask you to sign in using Google. Do that and it will take you to the dashboard where you will see some templates. 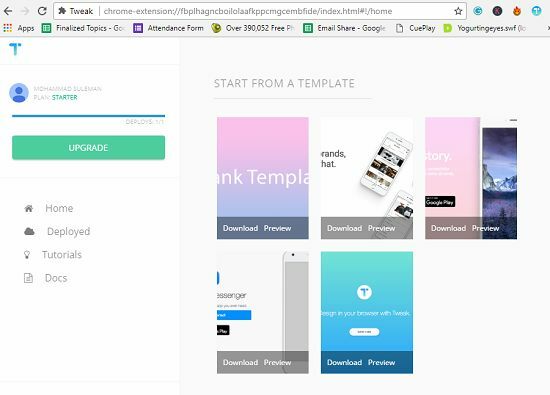 Step 2: Download any template you like from there. After that extract it. 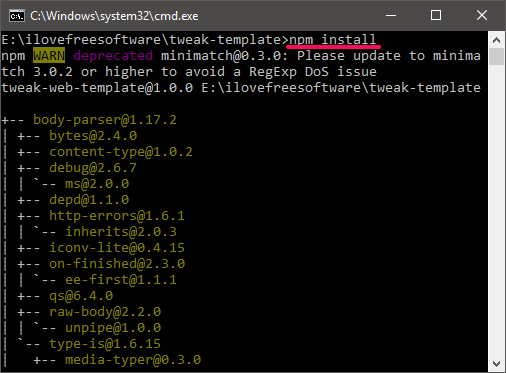 Step 3: Open command prompt where you have extracted the contents of the ZIP file. And then execute the following commands one after the other. Step 4: After running the last command, a page in your browser will open up, having an address “localhost:8080”. And the template will open up within this page. Step 5: Click on the icon of Tweak and it will turn the page into a visual editor. You will see a pane on the right side of the interface. There are various sections in the pane that you can use to create the webpage. If you want to add your own images on the webpage, then get back to the folder that you have extracted during step 2. Locate the Public > Images folder and put your images there. After doing this, your images will appear in the Images category in on the Chrome’s webpage. Step 6: So, use the tools and create the webpage. And when finally done. click on the Save button. It will take some time and when it’s done, it will show you URL of the web page.The URL will redirect to your webpage that you have created. In this way, you can easily create and host page using Chrome as visual webpage editor. And Tweak makes it pretty easy to do that. Apart from hosting, the HTML code also resides on your PC. So, if you want, you can use the webpage that you have created locally as well. Tweak is really a very good WYSIWYG HTML editor for Chrome that you can use. 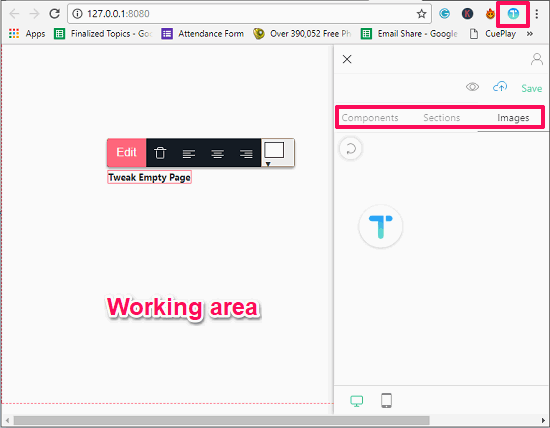 The drag and drop operations work very smoothly, justifying its name. Also, the hosting of a webpage is the biggest advantage that you get.